This beautiful Vintage Car is bound to turn heads with its graceful form. 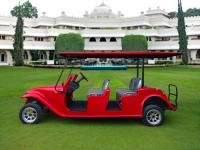 Feel royal with the Royale 6-seater experience! 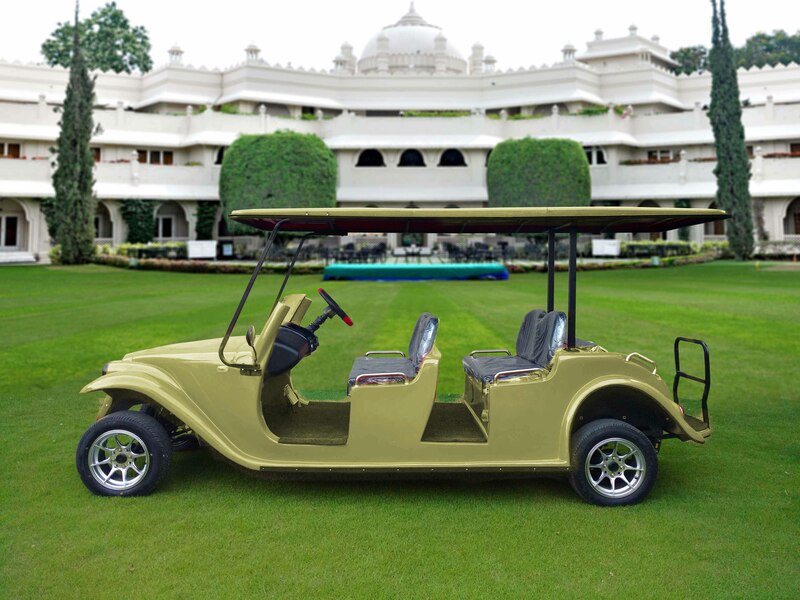 Bringing back the classic charm and graceful style with our Royale series, we present our handcrafted electric vintage carts in 4 and 6 seaters. 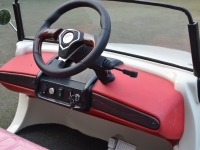 Now with custom crafted plush leather interiors! 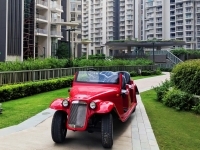 Customize your vintage car, design your dream! 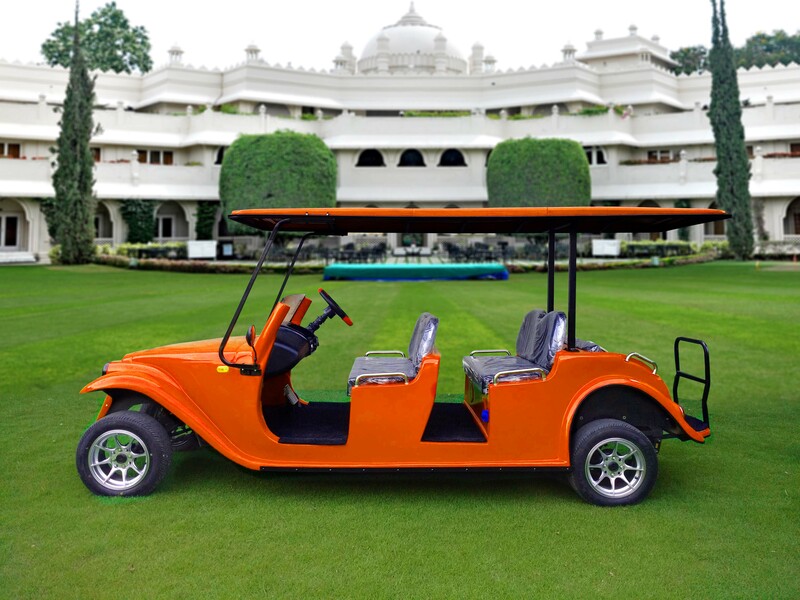 From the color of the car to the fittings built in – you decide what your Royale should do for you. 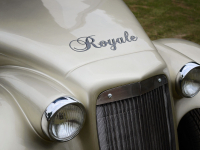 With complete personalization options, your Royale is truly YOUR car. 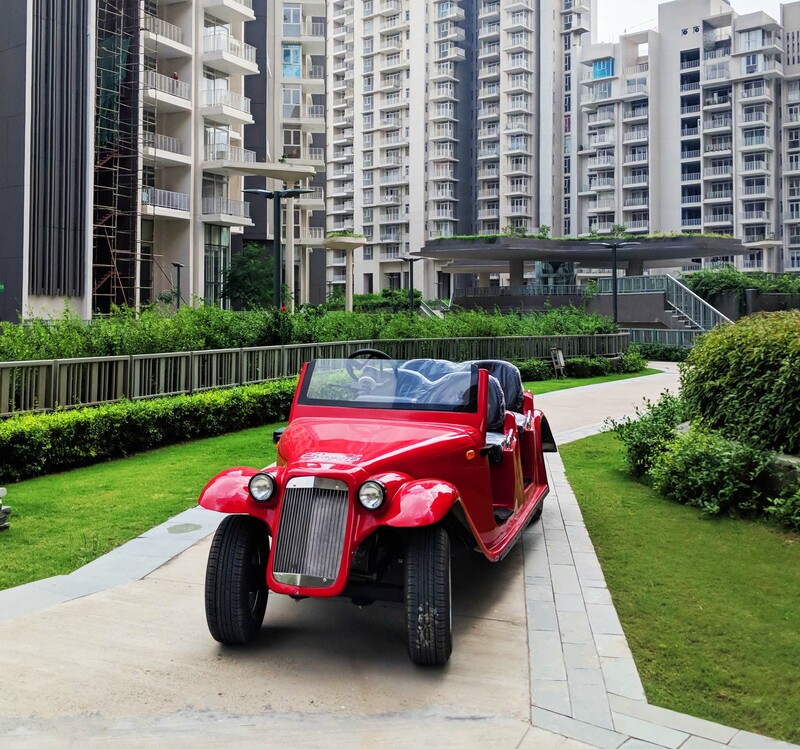 Call us today to know how we can build a custom vintage car for you! View some of our add-on options below. Now with the Double Roof system! Your luxury car now comes with the double roof system – which allows you to easily attach/detach the roof with a full windshield as desired. 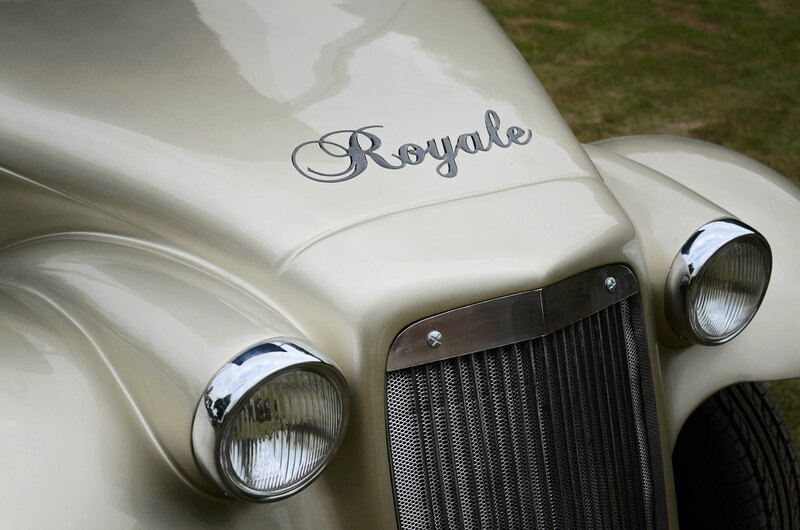 On removing the roof, you will have an open variant of the Royale ready to go with a half glass for protection. 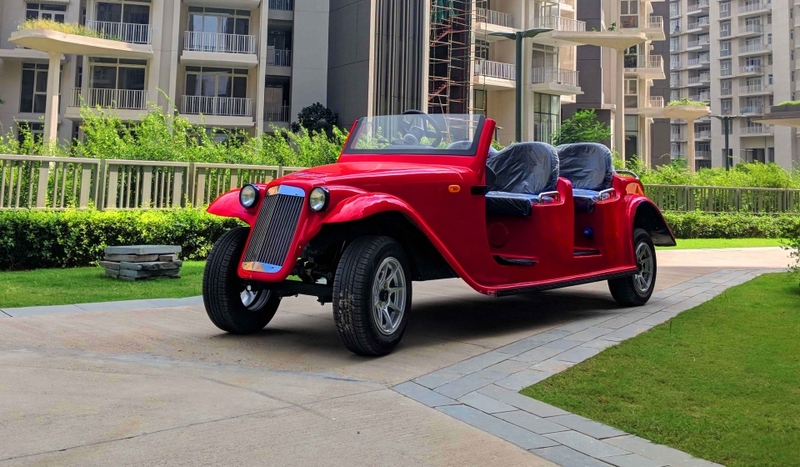 With this convertible feature, the Royale 4, 6 and 8 seater variants are perfectly capable of being open-top or covered carts. We offer many color options for our vintage cars. 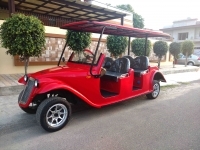 We can also customize them to your special color requirements. 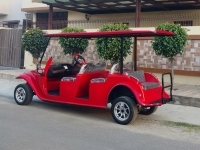 Our electric vintage cars are fully customizable for your needs! 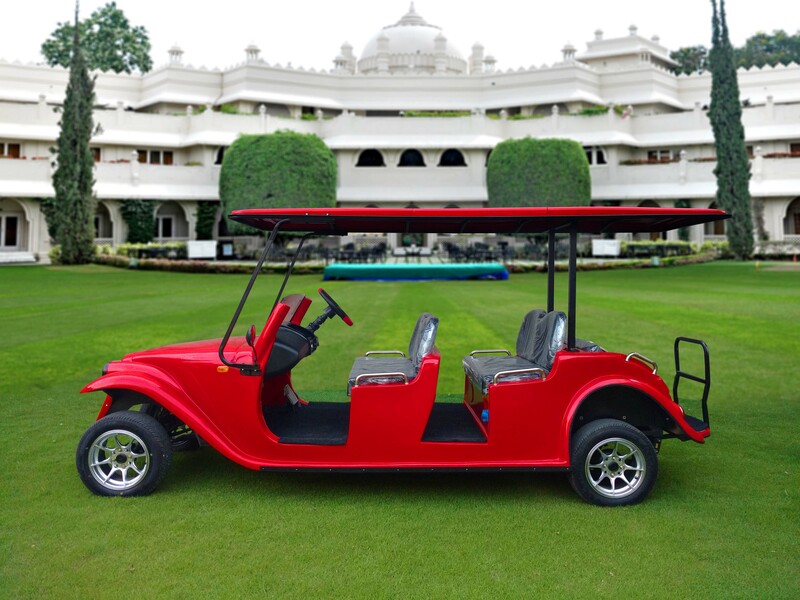 Because we make everything in our manufacturing plant, Speedways Electric can make electric carts and vehicles customized to your exact needs. 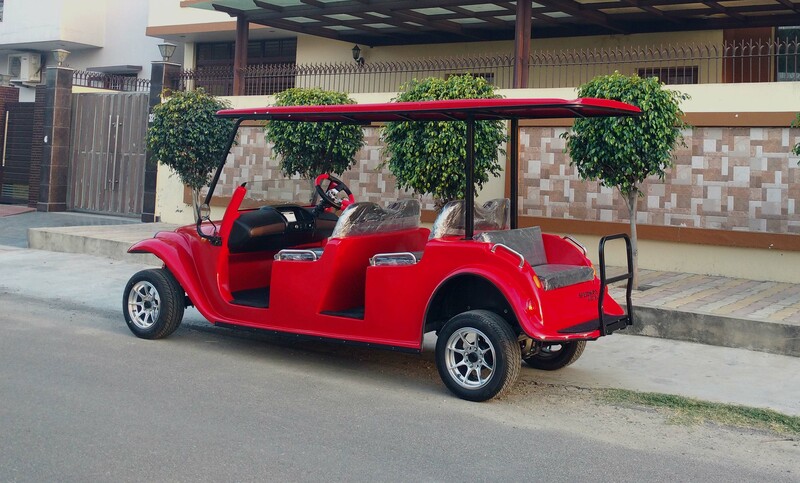 From the color to the seating arrangement to even the added accessories – we are available to come up with creative solutions to your transportation problems.